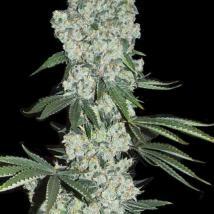 As their name suggests, Super Strains seeds bank only offers one thing. And that's high quality weed seeds that are totally super! Though this Dutch seed bank are still relatively new in terms of cannabis years, they have already made a name for themselves at events such as Expogrow, Cannafest and Cultiva where their original attitude to cannabis development has made everyone stand up and take notice. From old school classics through to boundary pushing autoflowering cannabis seeds, Super Strains cannabis seed bank have got it all, and it is all ready for you to try here at the Original Seeds Store. When it’s feminised seeds that you are after, go for old school quality in a true Amnesia for a top quality sativa hit that is always going to hit the spot. Or if you want something a bit more off the wall then Enemy of the State is going to blow your mind. 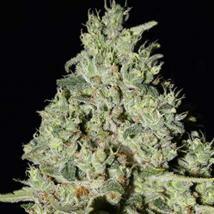 But if it is bulk you are after then look no further for cheap cannabis seeds that are always going to deliver. 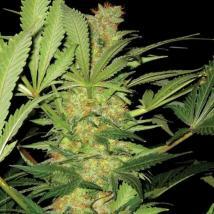 Whether you are looking for high quality medicinal marijuana, high yielding commercial strains or just a really good smoke, Super Strains Seeds have got the variety, now all you need to do is make your choice. Breeder packs are available in 1, 3, 5 and 10 however here at the Original Seeds Store we always like to offer more choice at the cheapest possible price and have all strains from this range available to you in larger bulk seed packs of 20 – 200. Got everything I ordered. They said it may take up to 30 days for international shipments. I received mine in 10 days. Seeds were in a stealth envelope. Will order from them again. Awesome, very helpful. Helped me choose the best strains for me and they sent loads of free seeds. Delivery arrived within 7 days and I couldn’t be happier overall. Will certainly go back again and again. Id order from you guys just for the excellent service, but you keep giving me free seeds, i have NO interest in even looking at anyone elses website!